After a rambunctious few months, the Roughnecks are down to their last two home games of the season. 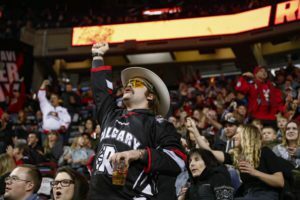 After a rambunctious few months, the Calgary Roughnecks are down to their last two home games of the season this April. 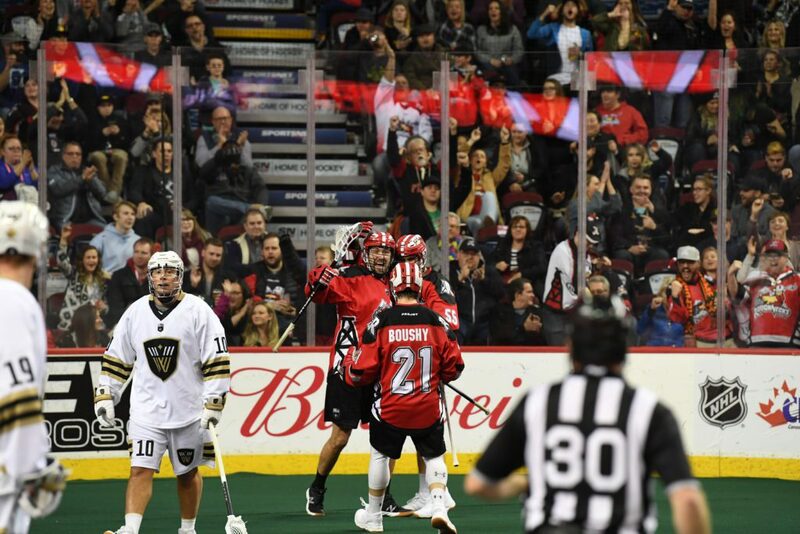 At the end of March, the Roughnecks ranked a close second in the Western division of the National Lacrosse League, hoping to clinch a playoff seat in the coming weeks. If you missed the St. Patrick’s Day game or you haven’t made it to any Roughnecks events yet this season, no sweat. 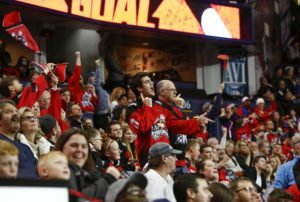 There are still two home games left in the season for you to cheer, yell, boo and chant the night away. Friday, April 12 @ 7:30pm – Calgary Roughnecks vs. Georgia Swarm. Dress up as your favourite superhero for your chance to win great prizes throughout the game at this year’s Superhero Party presented by Pete the Plumber. Plus, $1 from every ticket sold will be donated to the Alberta Children’s Hospital Foundation! Saturday, April 20 @ 7pm – Calgary Roughnecks vs. Saskatchewan Rush. Today, we want to appreciate YOU, the fans, by giving away tons of awesome prizes throughout the game at this year’s Fan Appreciation game presented by Vision Travel. Plus, just for being at the game, you could be selected to win a trip to Mexico from Vision Travel! Get your tickets to one, or both, of these rowdy home games on the Roughnecks’ website. Absolutely! 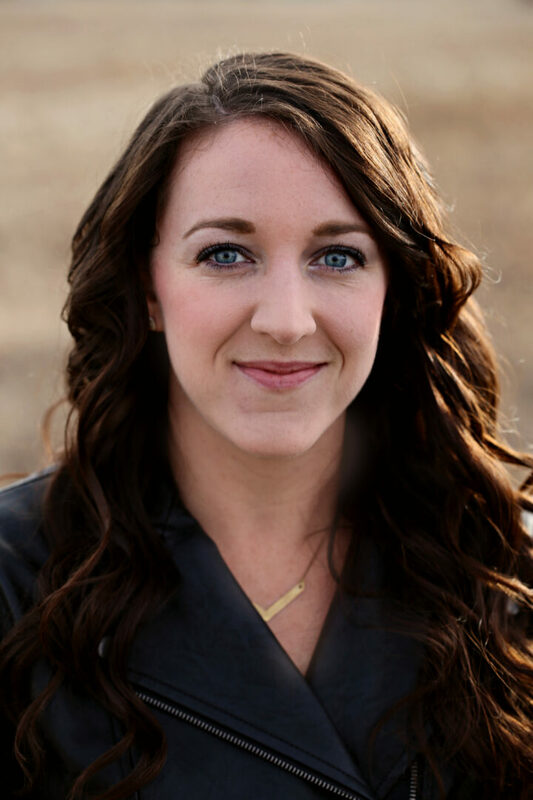 Attending a Roughnecks game is all about the experience, learning included. You’ll see firsthand players running, diving, jumping, tossing the ball, bodychecking the opponent, attempting to score and cheering raucously when they do. Absolutely not! Enjoy a night out with your friends, family, coworkers or special someone for only $20-50 per game. Buy your tickets ahead of time to secure a cheaper ticket price or organize a group booking through the Roughnecks group sales team. For all information on ticketing and group bookings, visit the Roughnecks’ site here. Lucky for you and all our rowdy Roughnecks fans, all home games are played at the Scotiabank Saddledome which is conveniently located on the C-train line. Alternatively, choose a Car 2 Go, Lime Bike or another mode of individual transportation to get yourself to the ‘Dome. If you do decide to drive to the game, there are several parking lots around the area for you to pay to park. However, if you’re going to partake in pre-, during- or post-game beverages, we recommend ordering a Calgary cab or Uber service to get you home safely. Well, now that we’ve answered all of your questions, who’s ready to get rowdy with the Roughnecks?! 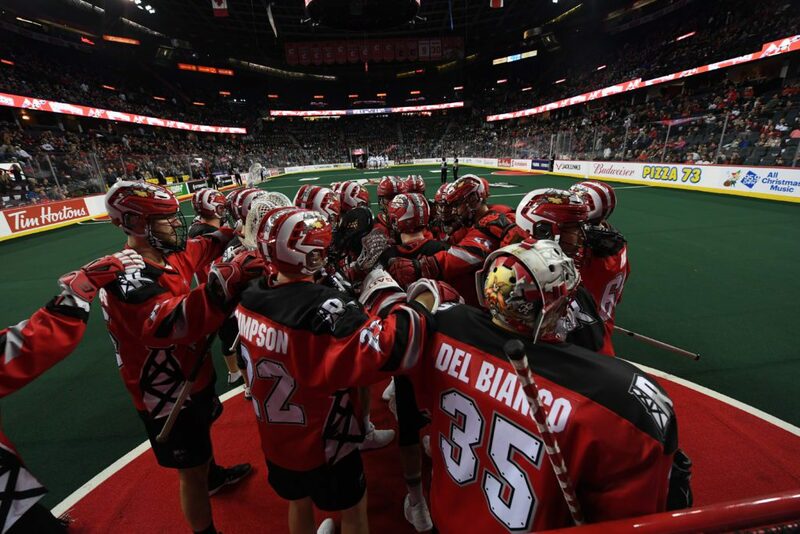 Whether you’re a die-hard lacrosse fan or you’ve never even seen a game, a Calgary Roughnecks lacrosse game is an experience of a lifetime. Get your tickets now or visit their website here for more details.